A report published by German fund manager Sauren Fonds Service, argues that the “interest rate trap” will deliver lower yields. Report contributor Matthias Weinbeck (pictured), a fund analyst for Sauren, highlights key strategies for investors facing this challenge. The high yield party is over- this is the key message of the latest Sauren report. While markets have been anticipating a change in interest rates for months, the report takes an unusual stance by arguing that yields will be low regardless of whether interests rates will increase or not. 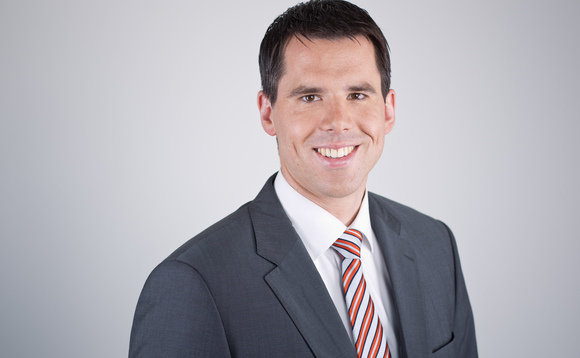 “We noticed in conversations with our distribution partners across Germany that there is a growing demand for conservative multiasset funds, yet many investors are not sufficiently aware of the traps provided by such funds since they often invest a substantial portion of their portfolios in the credit markets” highlights Weinbeck. According to Sauren, low interest rates have created a climate in which profits were not based on the abilities of individual fund managers, but on returns from relatively high interest coupons and long term bonds. This is reflected for example in the German government bond index REX. Between 1981 and 2014, it has seen a 781.3% growth, reflecting 6.9 % annual yield, according to the Sauren report. It currently sits at around 5.6%. Consequently, investors are increasingly looking for other sources of revenue. One alternative could be illiquid assets such as long term government bonds, which offer higher returns than short term investments. However, the report points out that long term government bonds are vulnerable to interest rate increases, since even a 1% interest rate increase can lead to a 3% loss for a three year bond. This is reflected in the yield on conservative multi-asset funds, which have shown solid returns in recent years, due to the favourable interest rate environment. However, even if long-term interest rates remain unchanged, the predicted yield remains now at a mere 1.42%. Another option to increase returns are long-term bonds. German government bonds with a 10 year duration offer 1.624% higher return than 3.5 years bonds. Yet a 1% increase in interest rates could lead to losses of more than 9% for 10 year government bonds. Alternatively, investors are increasingly looking towards corporate bonds, which offer generally higher returns. Yet, while corporate bonds provide a slightly higher yield compared to government bonds, investors have to be aware that the risk premium may increase. strategies would constitute a healthy balance” Weinbeck concludes.